South Korean giant Hyundai, which has dealerships across the country under the name of Hyundai Motors has been keeping a low profile for a few months. This was the silence before a storm, as they have come up with a brand new and refurbished 2012 Hyundai Sonata. The company has recently unveiled the details of this classy sedan on their website. 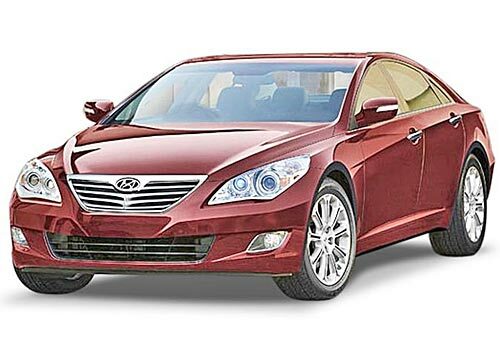 This has raised speculations that the new 2012 Hyundai Sonata would be launched very soon across the country. The website of the company has all the technical specifications, information on the sleek interiors as well as the exteriors of the car, a downloadable brochure, wallpapers that can be downloaded, dealership information and some other general information about this premium and magnificent sedan. This all new Hyundai Sonata price starts at Rs. 14.64 lakh (ex-showroom Delhi). This sedan was first introduced at the New Delhi Auto Expo held in January. Rumors are rife that this latest 2012 Hyundai Sonata would be on the Indian roads by March this year. The company proclaims that this latest fluidic design is influenced from Orchid flower and they have tried their best to combine sheer beauty with practicability. The smart front grille symbolizes power and finesse and the front fog lamps further add more refinement to the exteriors of this 2012 Hyundai Sonata. The rear of this sedan is charismatic and flamboyant complete with a combination of LED lights and a chrome tipped double exhaust. The engine of this beautiful 2012 Hyundai Sonata is a powerful 2.4 liter GDI engine. This heavy and responsive engine is coupled with a 6-speed automatic transmission gear box, which is sure to enhance the driving experience of the owner. This is one car, which is sure to grab a second look with its sleek body line and a stylish profile. Wow,It's great news.Hyundai Sonata is a new sizzling addition of Hyundai. Hyundai Sonata is a new avatar of excellence.Hyundai Sonata gives pleasure by its amazing sports look and impressive mileage and power.